We feel the effects afterwards, just because we can manage to do something doesn’t mean we won’t pay for it afterwards! There is often an inertia or increased fatigue. It is important that the practitioner as a long enough session to apply these gentle techniques. As we age the body requires a different kind of input as we no longer heal like a twenty-something. Keeping physically active is probably the single most important thing we can do to maintain a good standard of life and reduce the effects of chronic illness. 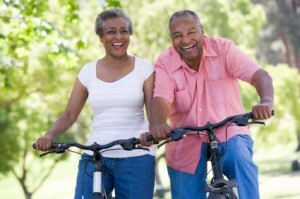 There is a growing body of evidence that exercise help maintain blood flow and reduces the chances of dementia. Regular exercise can help decrease the effects of depression it also helps to stimulate the digestive and eliminative systems. If exercise was a drug then it would cost a fortune – the only cost to you is the effort. If you feel defensive about the idea of exercising, you feel that you are ‘not an exercise person’then you really should consider why it is you have those issues and what you can do about them. Everyone is different, some people who are highly competitive may well be overusing this bodies by engaging in high impact sports that damage cartilage unnecessarily. We only have a certain amount of joint cartilage, it is slow to repair and healing rates decrease as we age. This means that people that can maintain a flexible mental approach and change their sporting activity are likely to fair better than those that can’t. Why not look at these relevant information sheets?